In today’s digital world, a mobile app development is mandatory for all business types. As a Mobile App Development Company in Chennai, India we offer the best mobile app development solutions for all category. Levels N Curves Creative Studios, employ the latest technology and coding methods in this upgrowing industry. We are excellent in designing and developing mobile apps for all platforms and by using the latest robust technology we are able to achieve more and our ergonomic approach never fails to succeed. As one of the best Android & iOS Application Development Company in Chennai, India. Our team specializes from an easy consumer application to a complicated firm mobility solution. Create a mobile application that assist you to increase the online presence for your business. that increase the online presence of your business and connect with users through a new digital platform. We are ready to offer you the right platform for your mobile endeavor, Whether it is a native, hybrid, or web app we can develop and deliver with assured quality. Our mobile app development team works on providing the experience you need in order to make an impact on your business market. We examine and upgrade your mobile app in order to make sure optimal functionality and project your growing business. To be assured that your mobile app will compete with the commercial Apple market by building a platform that is customized for the iOS operating system. Through developing a mobile app for Android users, your business can reach the vast audience and which put into a global market. When creating a mobile app for your business, you need take in account about which operating system will be a perfect fit for your product. Companies are making many new mobile devices on a regular basis, with the options surrounding app development much wider. We will guide you find which operating system will fit for your brand, and develop an app to match your requirements. 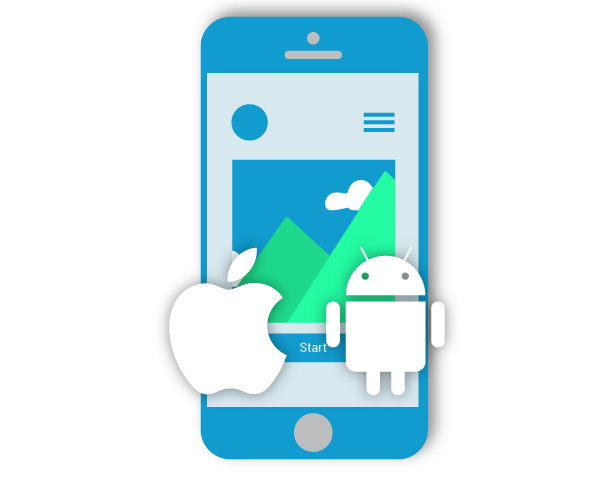 At present we work with the iOS and Android operating systems, and create an application that performs as an enhancement of your company on those platforms. Our developers will accompany you to estimate which operating system best fits the needs of your business, as well as those of your customers. Either it is iOS, Android, or both, we can build a mobile app that best serves both your consumers and your growing brand. 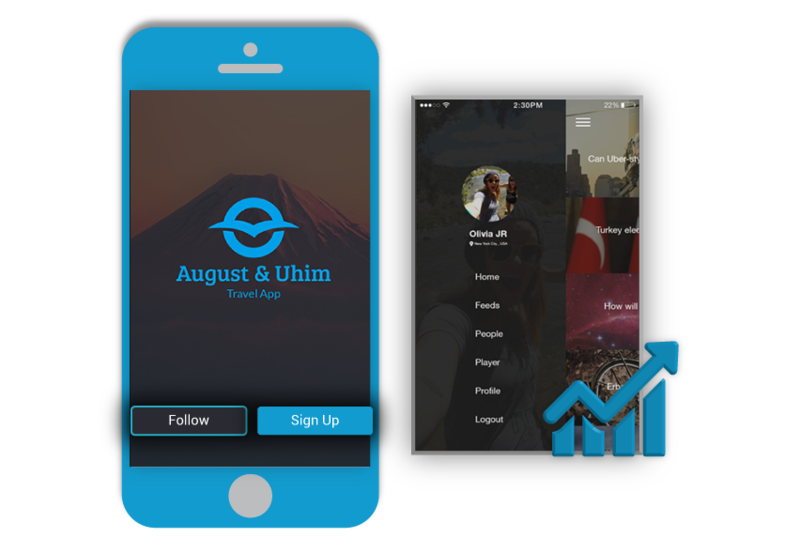 With easy menus and tabs, viewers can quickly make their way through your mobile app from their very initial visit. If viewers find your platform hard to control, or they get lost within the pages of the app, there is almost no chance that they will return to it. Our developers strategically manage content so that it is presented to the user in an organized way, allowing them to naturally scroll through your mobile app without becoming confused. We can help consider the requirements of both your store and your consumer by combining the data that you want to add in a format that is easy for your viewers to understand. Our mobile app developers can build a unique activity that will be intuitive to new fans, while still keeping the attention of those who remain to return to your mobile app over time. Something that should not be ignored when developing your mobile app is how it will affect the battery life of your customer’s device. You want your platform to be visually appealing and engaging, without using additional bandwidth and reducing the life out of your users’ phone or tablet. 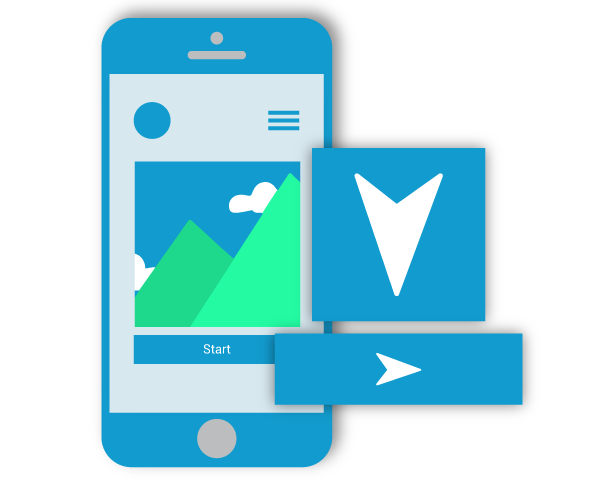 We will help find the essential equivalence between images and animations to add in your mobile app, and make sure it doesn’t become overpowering. You want to stay on brand and keep your platform recognizable to your fans without it becoming something that negatively impacts your image. Our developers are informed of this and will work with you to create a visually appealing platform that highlights your store, without knowing away from the usability or practice of the mobile app. In order to keep up with opponents in the market, your mobile app will need constant updates and testing for performance. Our developers manage these platforms to ensure that they are always functioning perfectly. We value the feedback, ratings, and reviews the app receives from customers, as it gives us with a gauge of what the demands of the users may be. Working out any problems or faults within the app is a primary way to show that you are hearing to your users and striving to give them with an optimal experience at all times. Our team continually gives quality support checks to keep your mobile app and make adjustments when needed. From technical glitches to updates that reflect your developing business, we are provided to maintain your mobile app long after its initial development, and help you surpass opponents within your business.